For years, people have considered heart disease to be a man’s worry. Yet, many women are suffering from heart attacks. More women die from heart disease than from all forms of cancer combined. 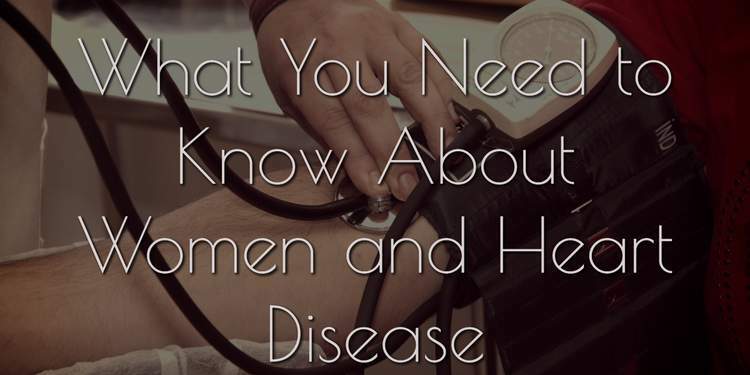 Hence, there are things that everyone should know about women and heart disease to better prepare and hopefully avoid a full-blown heart attack. This is something near and dear to my heart. My dad had his first heart attack at the age of 46. I’m now a little past that and worry about the impact of genetics for my likelihood of heart disease. Unfortunately, a woman’s risk of heart disease does increase with age to make it the leading cause of disease and death in women who are 40 years of age or older, especially after menopause, when the estrogen and progesterone levels go down. 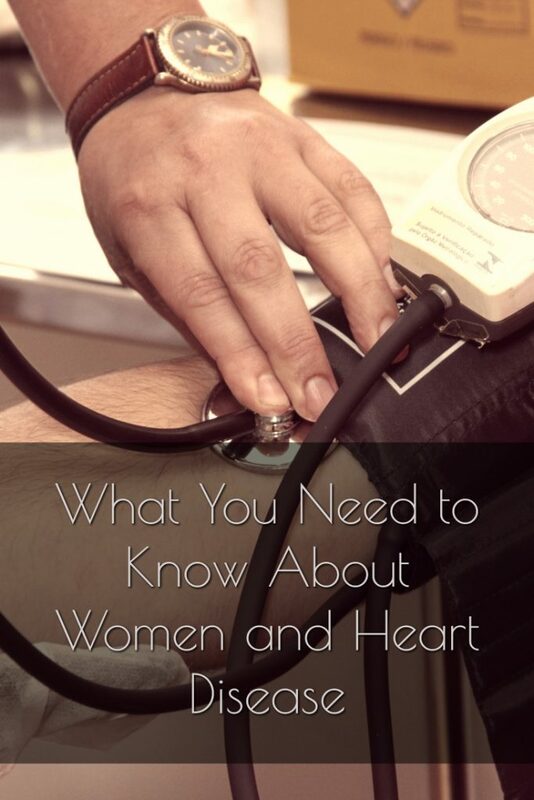 In fact, approximately 400,000 women in the US will die from diseases related to heart disease every year. This means that a woman dies of heart disease in the US about once every minute. A pre-menopausal woman is generally at a reduced risk of heart disease compared to a man of the same age. Why? One major factor: estrogen. Estrogen is able to increase the levels of the good cholesterol (HDL) in the blood, while simultaneously reducing the bad (LDL). As menopause occurs, and estrogen levels plummet, this natural “defense” mechanism in lost, and the tide changes. However, HDL and LDL are not the only indicators of impending heart disease, as triglycerides play an equal and likely greater role in development. Low HDL and high triglyceride levels are likely the culprits of heart disease. Traditionally, women are less active than men, and are often less likely to get involved in some sort of physical activity. This is one of the major contributing factors to heart disease. Exercise helps to reduce blood lipid levels, improve insulin sensitivity and function and build muscle mass. This also helps to support a healthy metabolism. Women who do not partake in physical exercise are predisposed to the development of metabolic syndrome. This is a group of symptoms, which include resistance to insulin, excessive abdominal fat and more. Metabolic syndrome exponentially increases the risk of developing heart disease or death via heart attack. Smoking is bad for everyone. However, women who smoke may experience a two-fold risk of heart disease than when compared to men. Women are also more likely to be unsuccessful in cessation treatment such as with using nicotine. Coupled with reduced estrogen protection post-menopause, smoking is a recipe for disaster. Women suffer from symptoms of depression more frequently than men do. We also may not handle the influence of stress as efficiently. The result is a disruption of the normal hormonal and neurochemical balance in the body. This predisposes women to other conditions such as high blood pressure, hastened atherosclerotic blockages (deposits in blood vessels) and reduced amount of circulating endorphins. Endorphins are protective for the heart and help with keeping stress levels low. Depression and stress act in a negative synergistic way to promote the development of heart disease. The good news is, by making smart lifestyle changes today, you can minimize your risk of developing heart disease later in life, or if you are already en route, to take it in hand. It is well known that smoking is bad for health in general. However, smoking has a negative impact on heart health. Smokers are twice as likely to suffer from heart attacks as those who don’t. For women, this especially important because statistically more women smoke cigarettes than men do. Physical activity is essential to keeping a healthy heart. Aerobic exercise that elevates heart rate helps to keep the heart working at its best. Running, walking, cycling, aerobics classes, elliptical machines even regular dancing are all great options to keep your heart strong. 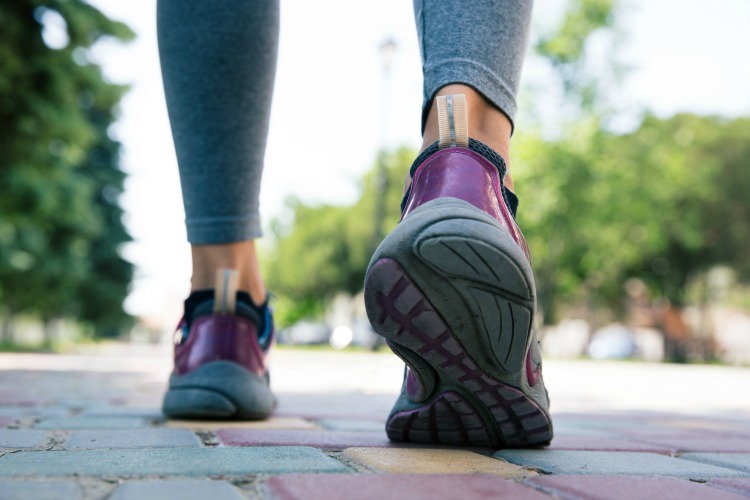 There are also a few practical steps you can take now to become more active every single day. For example, you can park your car a few blocks from where you want to be and walk. Physical activity will help you lose weight, which in turn puts less strain on your heart. However, being physically active is not just good for losing weight. It helps to strengthen your heart. Therefore, physical activity has a two-fold benefit for the heart. Following a healthy, well-balanced diet is a must. A healthy diet is comprised of whole real food, eliminating junk food and high-fat, sugary choices. 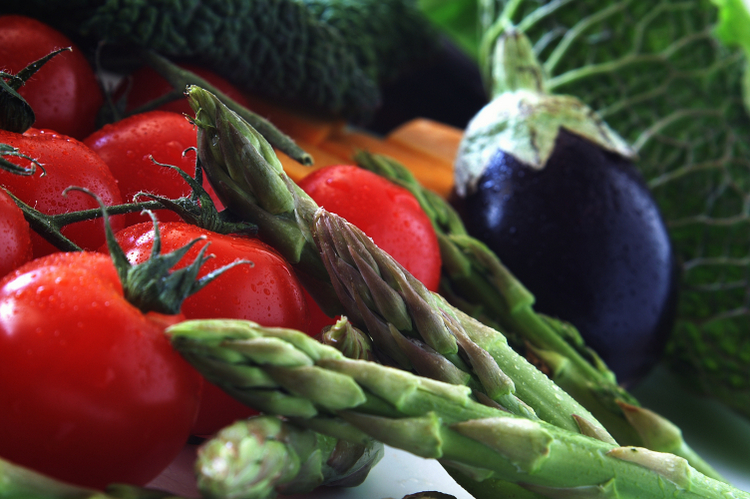 Fresh fruit and vegetables, along with grilled lean meats and fish are your best options. Beans are also a good source of no fat protein. High fiber grains found in whole oats, whole grain bread, and cereals are essential for maintaining healthy cholesterol levels. Recent studies have suggested that the Mediterranean Diet can have very impressive benefits for heart health. It’s also good to know your fats. Trans fats are the worst, but not all fats are bad. In fact, some have many health benefits. For example, olive oil can actually help keep the heart healthy. Nuts are also a good source of healthy fats. Monosaturated and polyunsaturated fats are all good for heart health. Of course, any types of fats are high in calories and, therefore should be eaten in moderation. It is also good to drink more water and definitely limit beverages like sodas and alcohol. Cholesterol is a waxy, fat-like substance that can build up on the walls of heart arteries. High cholesterol is a major contributing risk factor for heart attack and stroke. Therefore, you should have it checked on a regular basis. 71 million American adults or 33.5% of the population has high low-density lipoprotein (LDL), or “bad,” cholesterol. Only 1 out of 3 adults who has high LDL cholesterol has the condition under control. Lowering cholesterol reduces the risk for heart attack, the need for bypass surgery and death from heart disease. By following a good diet and engaging in regular exercise, you already have taken the key steps to a healthy heart. Cholesterol levels in the blood can be caused by a number of factors, not just diet. For some, that may mean the use of medication to help lower their levels. It is impossible to avoid all stress. We live in a stressful world that operates on a 24/7 mode every day of the year. When a woman is under a lot of stress for an extended period of time, then this can negatively affect the heart as stress causes high blood pressure that contributes to heart disease and heart attack. To reduce stress, take the time to learn its sources and eliminate these whenever possible. In general, you need to take the time to relax every single day. Many forms of exercise promote stress reduction, like yoga and Tai Chi. Aerobic exercise can also help to reduce stress. Make stress reduction a priority and take care of your stress levels to ensure heart health. Sleep and heart health are closely related. Make sure that you get enough sleep for your needs. How much is needed? Adults tend to need between 6 and 8 hours of sleep every night. Getting enough sleep improves heart health, boosts the immune system, and helps in losing weight. Most importantly, you should be working with your health care professional to determine what steps will most help you. With your doctor, you need to manage common risk factors for heart disease, including elevated cholesterol levels, hypertension, or diabetes mellitus. Control of these risk factors can help reduce heart disease even if your estrogen levels are low. 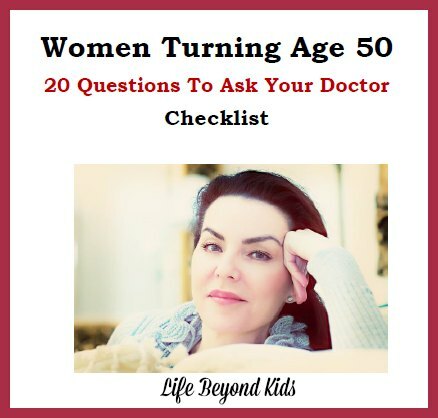 For subscribers of this site, I have a checklist of 20 Questions To Ask Your Doctor. This is especially applicable to women approaching or over the age of 50. If you do not already subscribe to Life Beyond Kids, you can do so through the form below. How do you manage your health to minimize the risk of heart disease? What are some steps you should be taking, but keep putting off?